Need a way to summarize a large amount of data or crunch numbers better? 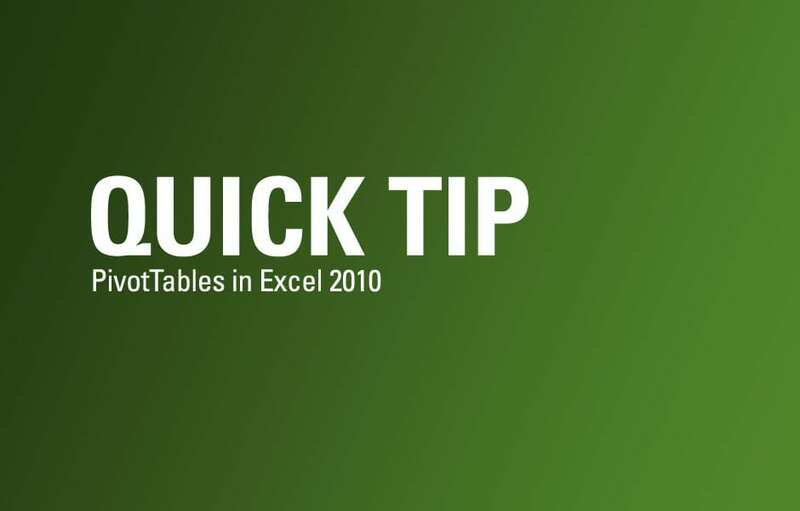 Enter the PivotTable feature in Microsoft Excel 2010. A PivotTable takes your dataset and lets you choose the fields and filters to build a report and PivotCharts. Learn more about this powerful way to glean meaning from your data here.